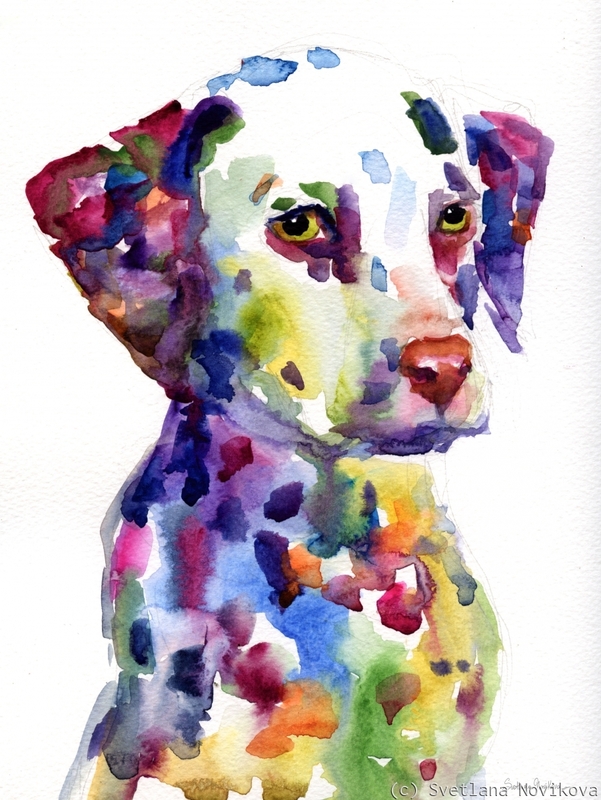 Colorful Dalmatian dog puppy print would make a great gift for any Dalmatian breed lovers. I am also available for custom commissioned pet portraits from photos. Copyright Svetlana Novikova. 6.75" x 5"10.75" x 8"14.75" x 11"18.75" x 14"22.5" x 17"26" x 19.5"